Research in the Surgical Mechatronics Laboratory aims to develop intelligent tools that improve performance in microsurgery and minimally invasive surgery while at the same time leaving the surgeon in full control of the procedure and benefiting from his expertise and dexterity. The goal is for the surgeon to notice the work he is doing, not the tool he is using. The improvements in performance that are sought generally involve improved positioning accuracy and improved minimally-invasive access. A major area of interest in the lab is compensation of biological motion (heartbeat, respiration, tremor) for improved accuracy. Current projects include active handheld tools to cancel the surgeon’s hand tremor during microsurgery (Micron), novel instrumentation for minimally invasive heart surgery (HeartLander), and an innovative technique for steering of flexible needles for neurosurgery using duty-cycled rotation. 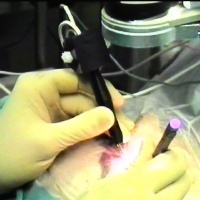 A microsurgical workstation incorporating active tremor canceling and advanced intraoperative visualization techniques is also under development. 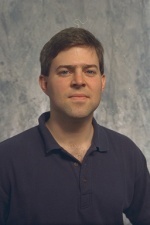 Other work in the laboratory, in collaboration with the Department of Rehabilitation Science and Technology at the University of Pittsburgh, involves command input filtering in assistive computer interfaces for users with movement disorders such as pathological tremor or cerebral palsy. View Synthesis from multiple micro-CCD cameras placed on the belly. Suppression of hand tremor to improve precision in microsurgery.